R3 Factor Skin Defense Creme helps our skin to retain its natural moisture, restore its resilience and renew its appearance. By combining fruit acids with soothing Aloe Vera, it provides a first line of defense in fighting the harsh effects of time to preserve our skin’s youthful appearance. Fruit acid creams have been called the most important skin care agents of the decade. Helps maintain healthy skin color, texture and feel. Retains, restores and renews the skin. 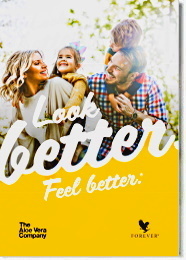 R3 Factor Skin Defense Creme is a rich combination of stabilized Aloe Vera gel, soluble collagen and alpha-hydroxy acids, fortified with vitamins A and E, each vital to healthy skin. Alpha hydroxy acids (AHAs) come from natural plant sources and are also called Fruit Acids. Together, these fruit acids are exfoliants that loosen dead cells from the skin’s surface by dissolving the natural glue-like substances that refuse to release the dead skin cells. These cells create a barrier to moisturizing creams, so getting rid of these dead cells evenly means that fresher cells are exposed in the skin’s renewal process. Since it takes 21-28 days for the skin renewal process to complete a cycle, allow a similar amount of time to realize the full benefits of R3 Factor Skin Defense Creme. 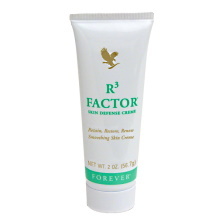 After cleansing, apply R3 Factor Skin Defense Creme to face, neck and other areas where needed. For best results, use both morning and night. May be followed by makeup or by Recovering Night Creme at night, if desired. 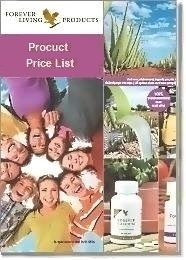 (See Aloe Fleur de Jouvence Restorative Beauty Regime).